We’ve seen millions upon millions of dollars paid to superstar players this off-season. In fact, the money paid to Bryce Harper (13 years/$330 million), Manny Machado (10 years/$300 million), Nolan Arenado (eight years/$256 million) and Mike Trout (12 years/$426.5 million) is more than the total amount of money the Tampa Bay Rays have paid every single player that has played for them in the franchise’s 21-year history (per writer Jayson Stark of The Athletic). But this isn’t just the season of big free-agent signings. It’s also shaping up as the season of the massive contract extension. Certainly, Harper and Machado led the way in free agency, while Arenado and Trout crushed it with their extensions. There has been a number of other extensions as well, including first baseman Paul Goldschmidt (reportedly five years/$130 million) with the Cardinals, third baseman Alex Bregman (six years/$100 million) with the Astros and reigning Cy Young winner Blake Snell (five years/$50 million) with the Rays. We’re seeing both proven veterans and young players with far less experience making deals. What we’re experiencing is players and agents finally adapting to the changing landscape of player valuation and free agency. If clubs won’t pay players big money in free agency because of declining performance due to age, then get the team to buy out free agent years before players get there. In some of these cases, teams are basing value upon projections with less tangible data. One extension that should interest Jays fans is the White Sox signing of stud outfield prospect Eloy Jimenez to a deal that guarantees him $43 million over six years, with the value rising as high as $77.5 million if the White Sox exercise a couple of club options. 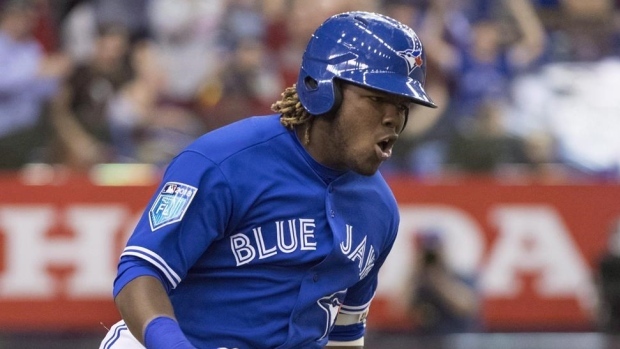 Jimenez is ranked as the third-best prospect in baseball behind Vladimir Guerrero Jr. His deal is just the third of its kind given to a player with no major-league service. In 2014, the Astros signed first baseman Jon Singleton to a five-year, $10 million deal that turned out to be a bust. Last spring, the Phillies signed infielder Scott Kingery to a six-year, $24 million deal with three club options that could make the deal worth $66 million. The obvious question is whether this same structure makes sense for the Blue Jays with Guerrero. Blue Jays president Mark Shapiro is a disciple of former Cleveland Indians general manager John Hart. In Cleveland, Hart and Shapiro locked up many of their young stars to long-term deals. It is in his DNA to want to control young stars for as long as possible. The Jays should absolutely consider doing the same for Guerrero. It’s always hard to know exactly how players will develop, but Guerrero, like Jimenez, seems more predictable. The framework is already done for the Jays. Just like Trout worked off of the extension of Nolan Arenado and the free-agent deals of Machado and Harper to find his value, so too should the Jays and Guerrero work off of Jimenez. Bump the deal up a bit because Guerrero is the better player and get the deal done. If possible, the Jays should try to secure as many options on free agent seasons as they can. Just show him the money! Just when you think you have enough pitching, you don’t. The Blue Jays are learning that the hard way. These injuries open the door for others to make the club, but there’s no doubt the quality of arms and level of experience in the bullpen has taken a major hit. The “Next man up” philosophy applies in baseball just like it does for other sports. No one is going to feel sorry for the Jays. When building a team, a general manager understands that the season can be a war of attrition. You have to build depth in anticipation of injuries and underperformance. 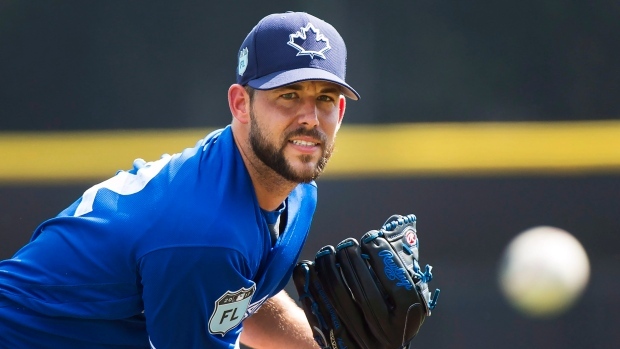 The Jays were hoping their veteran relievers would protect some of the younger pitchers so they could further develop in low-leverage roles in the majors or at Triple-A. Instead, the youngsters are going to get thrown into the fire before they’re ready. It’s not a great formula for success. Now, the Jays have to hope the veterans get healthy so they can be flipped for prospects at the trade deadline. The bullpen locks seem to be Ken Giles, Joe Biagini and Tim Mayza. With the injuries, David Paulino and Sam Gaviglio will very likely join the bullpen on Opening Day. Rule 5 Draft pick Elvis Luciano’s chances of sticking are vastly improved now as well. The last couple of spots could also come from a group that includes Jason Adams, Trent Thornton and Thomas Pannone. The Jays scouts are likely scouring other camps now for prospective trades for relievers as well. The Blue Jays are scrambling and the season hasn’t even begun. Baseball players are grown men who play a kid’s game, but that’s not the only area where they sometimes act like kids. For some reason, baseball players love video games. The Fortnite phenomenon is prevalent in every major-league clubhouse. Players play it at home before going to the ballpark. They play it once they are there and they play it after the game. There have been a number of stories over the past week about video games interfering with proper pre-game preparation. First baseman Carlos Santana took a bat to a television in the Phillies clubhouse last September because he thought his teammates were playing Fortnite during the games. 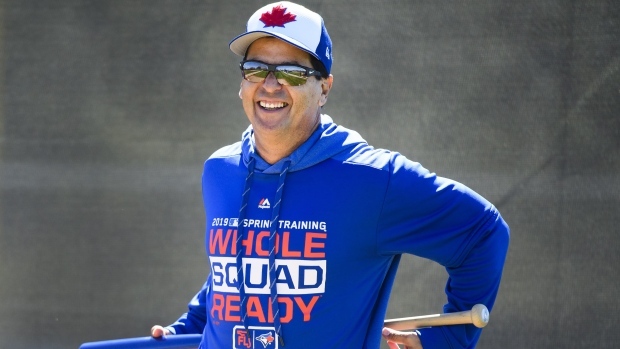 Blue Jays manager Charlie Montoyo suggested the Jays may have a curfew on video games because he heard complaints about it being a bit out of control last season. Catcher Luke Maile later said the team decided to not have a hard deadline on when video games should stop, but would instead leave it to the players to show each other respect for their preparation. As a father of four boys who all play Fortnite, I don’t think the Blue Jays’ plan is going to work. If I had a nickel for every time I called the kids to dinner and they said, “I will be right there. I just have to finish this game,” I would be a rich man. Plus, when someone is on the verge of earning a solo win in Fortnite the energy gets crazy and a lot of yelling and swearing ensues. I can’t imagine preparing for a baseball game with that going on in the clubhouse. They should just set a hard curfew an hour before the game and be done with it. Take it from a manager of four boys with tonnes of experience. 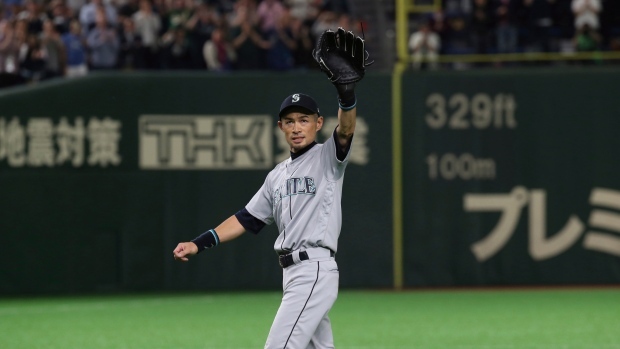 Ichiro Suzuki has announced his retirement after the Seattle Mariners and Oakland A’s game in Japan on Thursday. There couldn’t have been a better or more appropriate ending to his career. He finished his storied career where it began, playing as a member of the Mariners. He spent parts or all of 14 of his 19 seasons in Major League Baseball with Seattle. He is a beloved superstar in both Japan and North America. A player’s legacy can be gauged by the numbers he produced and the impact he made on teammates and fans. The numbers speak for themselves. The slap-hitting outfielder had 1,247 hits while playing in Japan and 3,089 in the majors. His combined hits total is beyond Pete Rose’s MLB record of 4,256 career hits. I believe Ichiro would have passed Rose if he had played his entire career in MLB. When Ichiro came off the field in the eighth inning for the final time in his career the legacy he has left behind could be seen and felt in the stadium. Fans who rarely stand during games in Japan were on their feet cheering and clapping for the 28-year veteran. A number of Ichiro’s Mariners teammates were in tears as they hugged the international icon. One of my biggest regrets as a general manager is that I didn’t have $2 million more to offer for the posting fee when Ichiro was being offered to major-league clubs by his former club in Japan prior to the 2001 season.